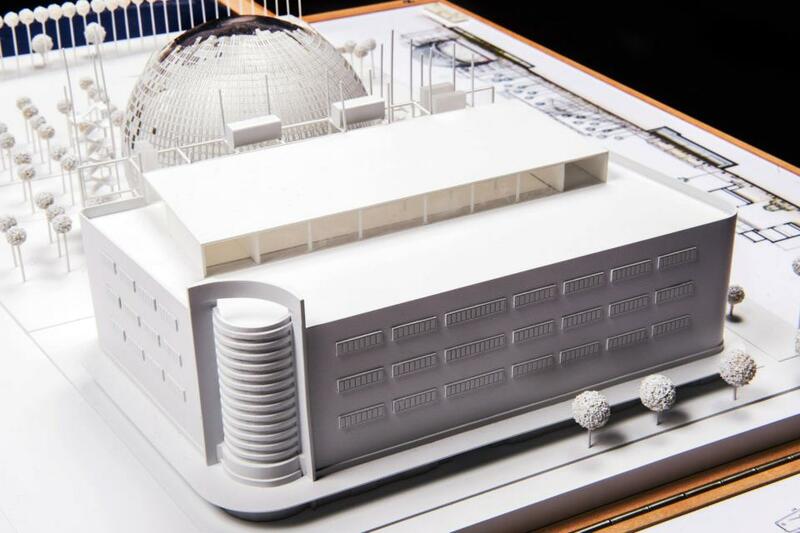 The Academy of Motion Picture Arts and Sciences has released new images of the project for the new Academy Museum. 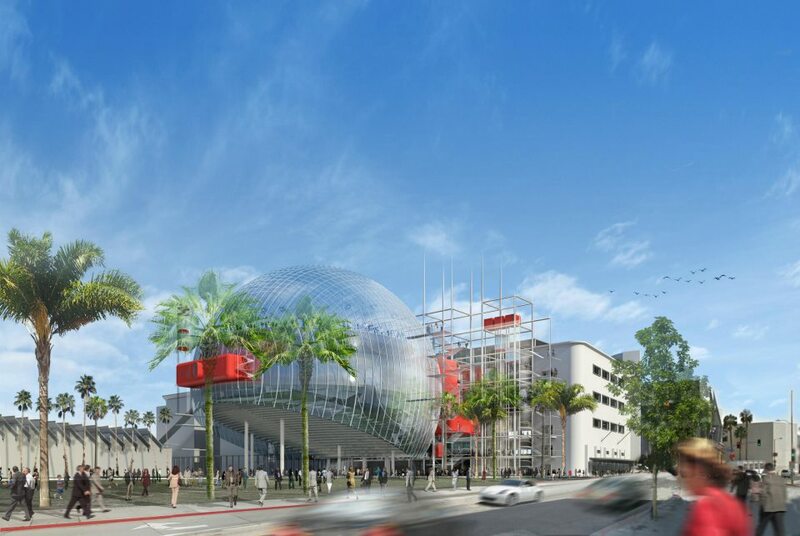 The new venue will be located on Fairfax and Wilshire, the site of the old Wilshire May Company, and will be a six-story, 290,000 square-foot museum attached to a 1,000 seater dome for film events. The museum promises visitors a full red-carpet experience, an interactive moviemaking exhibit, and floors dedicated to the history of cinema. The main theater is expected to be named after David Geffen, who donated $25 million to the museum. 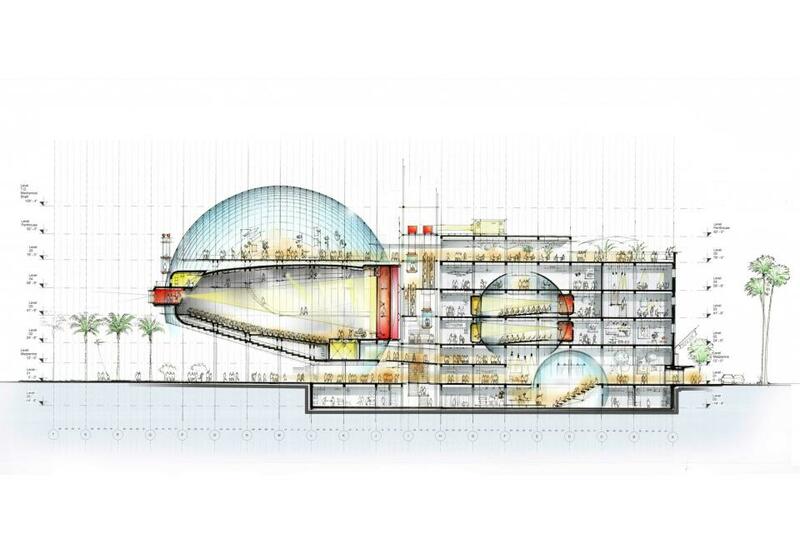 The ground floor of the main building will mainly be a two story interactive exhibit on how to make a film. Visitors will be able to light, film, act, and edit footage themselves. Next to that is a large space for travelling exhibits. The second floor of the building will be dedicated to the history of film. 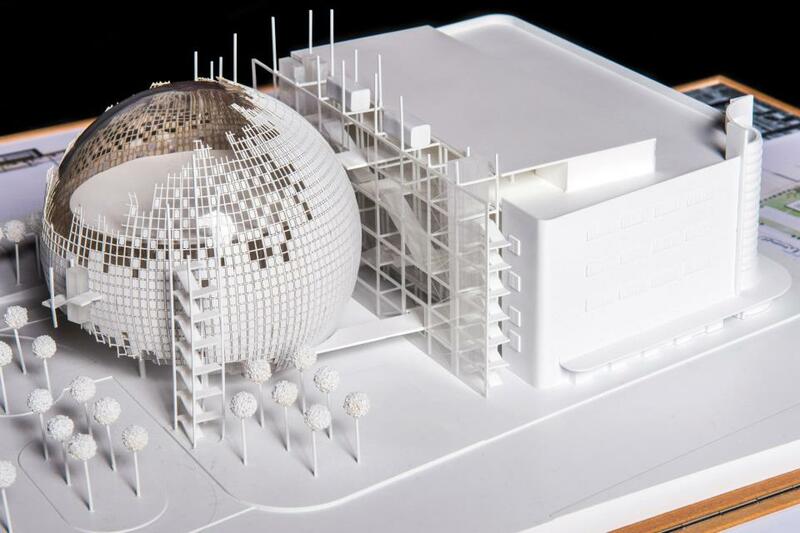 If all goes to plan, the museum will open in 2017. 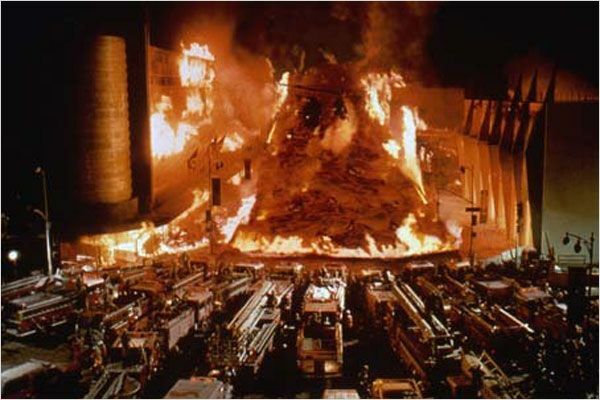 The site itself, has starred in a number of films, probably most memorably in Volcano (1997).